By default, UVic web spaces are visible to the public. For security reasons, you may want to restrict access to your personal website. Only allow users with a valid NetLink ID to access your site. 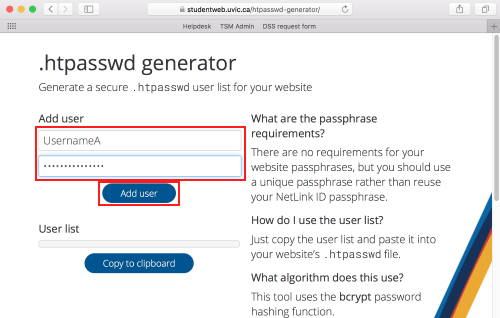 Only allow users with particular NetLink IDs to access your site. Only allow users with a particular, non-NetLink ID username to access your site. These restrictions will make an authentication box appear when visitors navigate to your website (the appearance may differ depending on your web browser). 1. Open a text editing application, such as TextEdit. If you are using TextEdit, you will need to click Format and select Make Plain Text. 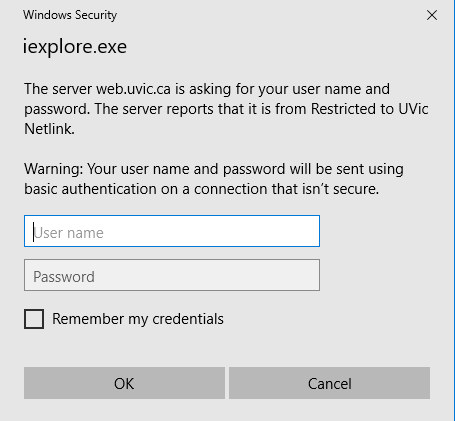 You may change the text Restricted to UVic NetLink to anything you wish to appear in the login dialogue. 3. Save your file as .htaccess. Deselect the If no extension is provided... checkbox. Since by default Mac OS X hides files beginning with periods, you may not be able to see the file on your computer. You should, however, be able to see the file when using an SFTP client such as Cyberduck. 4. Upload the file (using an SFTP client) to the folder that you wish to protect. All subfolders will be protected. If you wish to protect your entire site, upload the file to the www folder. 5. 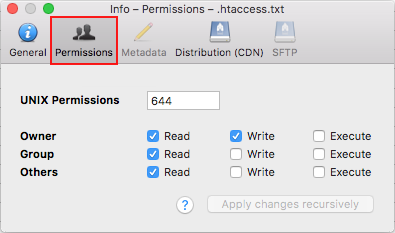 File permissions to .htaccess should allow read access to all users. 6. To remove or change access restrictions, delete or edit your .htaccess file. 1. Open a text editing application, such as TextEdit. Instead of typing NetLinkA NetLinkB and NetLinkC, type the NetLink ID(s) that may access your site. 3. Save your file as .htaccess. Deselect the If no extension is provided... checkbox. Since by default Mac OS X hides files beginning with periods, you may not be able to see the file on your computer. You should, however, be able to see the file when using an SFTP client, such as Cyberduck. 5. 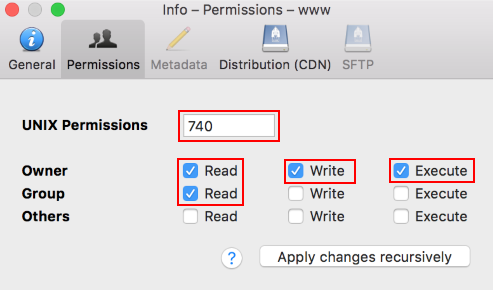 File permissions to .htaccess should allow read access. 6. To remove to change access restrictions, delete or edit your .htaccess file. ﻿Only allow users with a particular, non-NetLink ID username to access your site. 2. Type in the username and password you wish to provide access to your website, and click the Add User button. Repeat this process for all username/password combinations you wish to be able to authenticate to your site. 3. Open a text editing application, such as TextEdit, and copy and paste the line of text generated into your text file. 4. Repeat Steps 2-4 with any usernames you would like to have access to your site, adding each on a new line of the text file. 5. If you are using TextEdit, you will need to click Format and select Make Plain Text. 6. Save your file as .htpasswd. Deselect the If no extension is provided... checkbox. 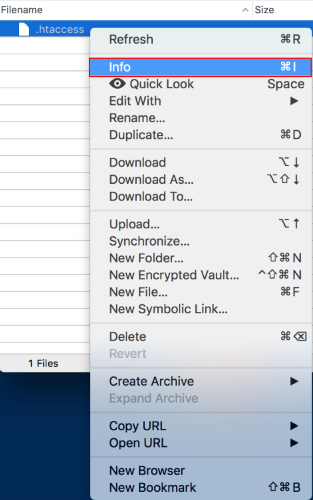 Since by default macOS hides files beginning with periods, you may not be able to see the file on your computer. You should, however, be able to see the file when using an SFTP client, such as Cyberduck. 7. Upload the file (using an SFTP client) to the data folder. 1. Open a text editing application, such TextEdit. 2. 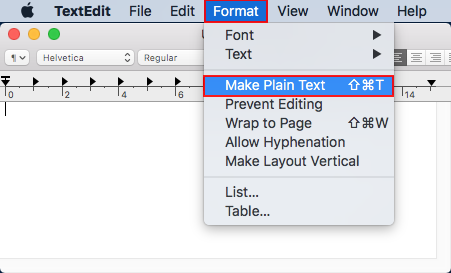 If you are using TextEdit, you will need to click Format and select Make Plain Text. Instead of NetlinkID in AuthUserFile use your own Netlink ID. Instead of typing UsernameA UsernameB and UsernameC, type the Username(s) that may access your site. You may change the text Restricted to Username to anything you wish to appear in the login dialogue. 4. Save your file as .htaccess. Deselect the If no extension is provided... checkbox. Since by default macOS hides files beginning with periods, you may not be able to see the file on your computer. You should, however, be able to see the file when using an SFTP client, such as Cyberduck. 5. Check the permissions to .htaccess. They should be set to 740 to allow read access. To view the file, click on View-> Show Hidden Files. Select the file and click Get Info -> Permissions.